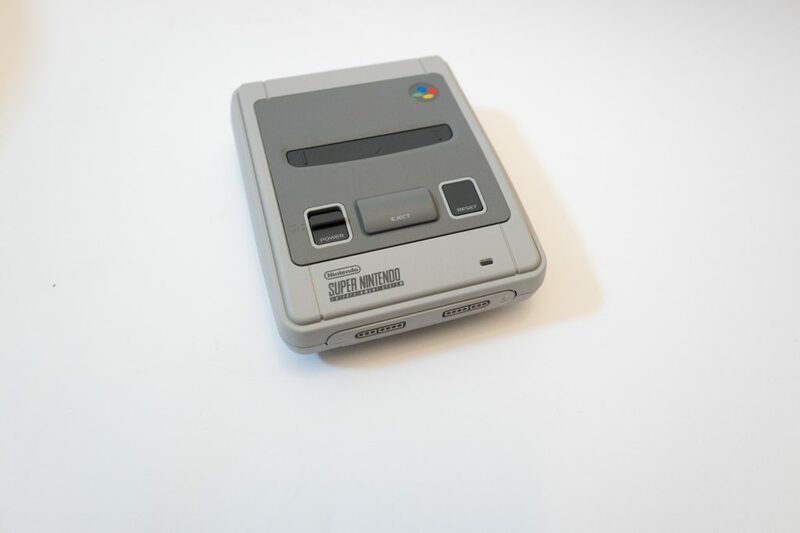 The SNES mini comes in this amazingly cute small package, the box shows a console on the front with two controllers, in the bottom corner it states you get 20+1 games. 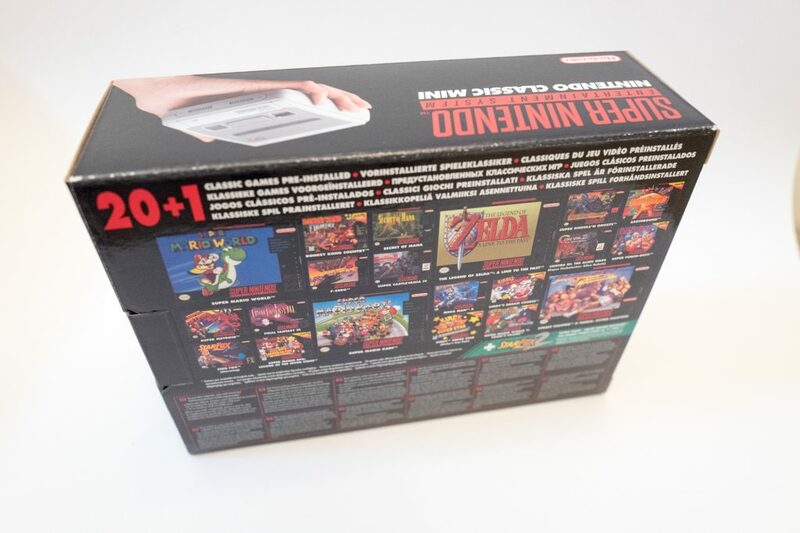 The most exciting game on this list for me and for anyone purchasing this system is the unreleased Star Fox 2, this is going to be amazing to play. 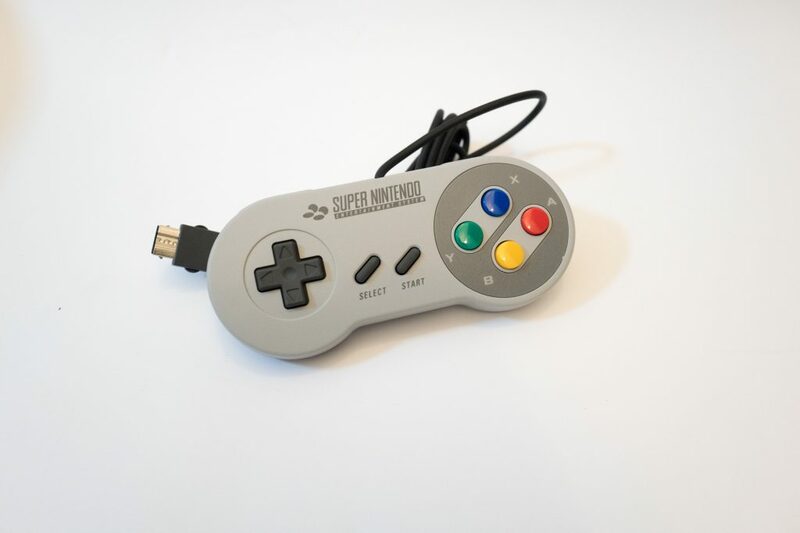 This is one of the two full sized SNES controllers that look exactly like the original controllers. 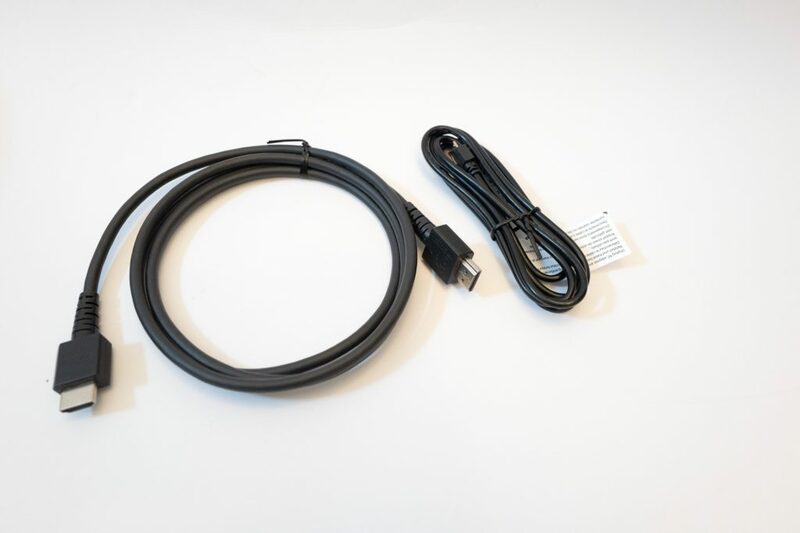 You get two cables, one USB and one HDMI for connection to power and your television. 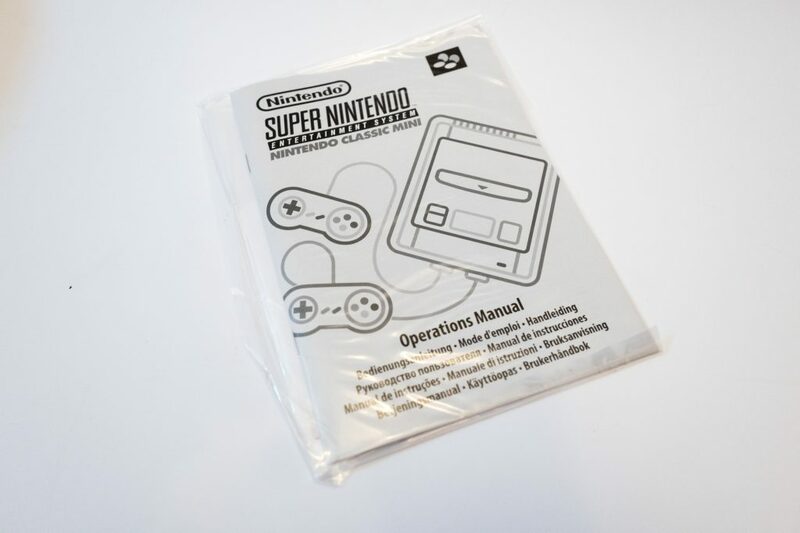 The console itself has a fully working power and reset button just like the original, of course it is too small to take cartridges, so the eject button doesn’t work. 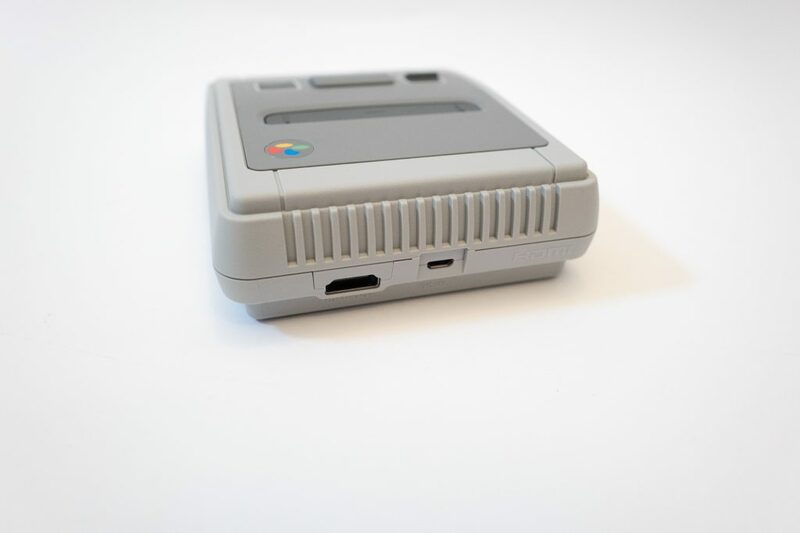 On the back you have a HDMI connection for your television and a USB connection for power. You need to provide your own power adaptor. 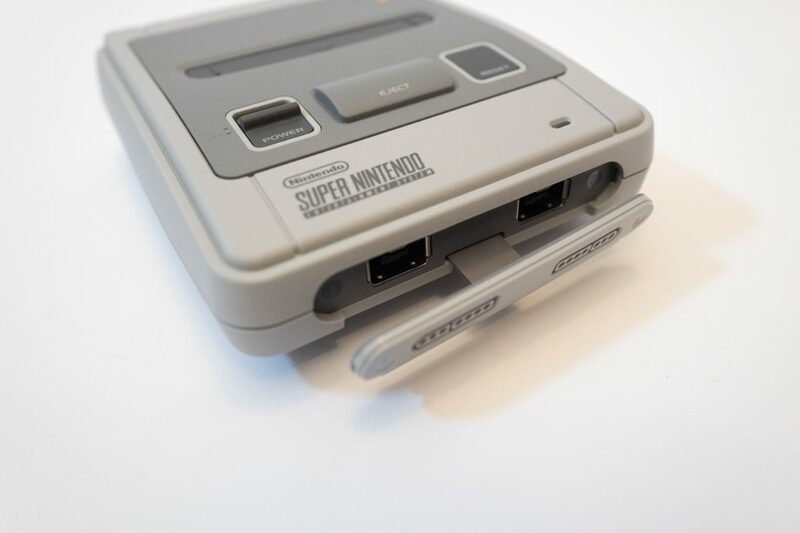 Opening up the front of the console reveals the connection for the controllers, they use a USB connection now. 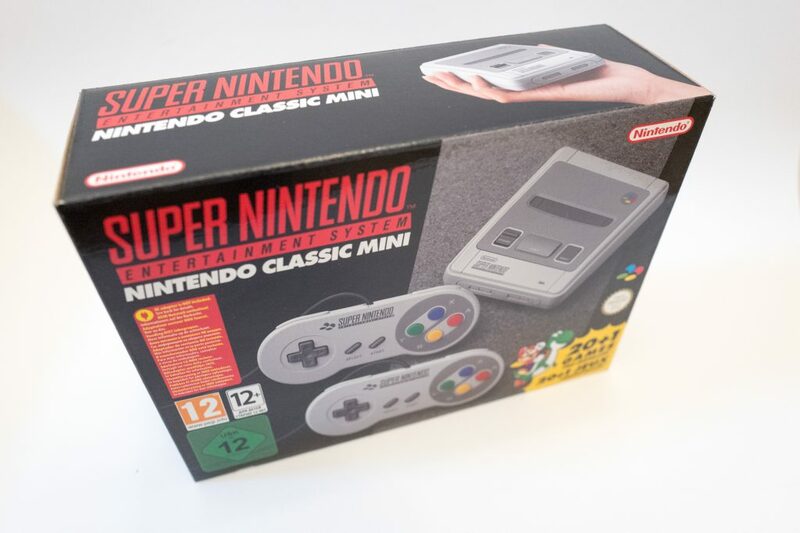 To conclude this is another great release by Nintendo, again though they have struggled with demand, the console was very hard to get hold of and like the NES release last year sold out instantly everywhere. 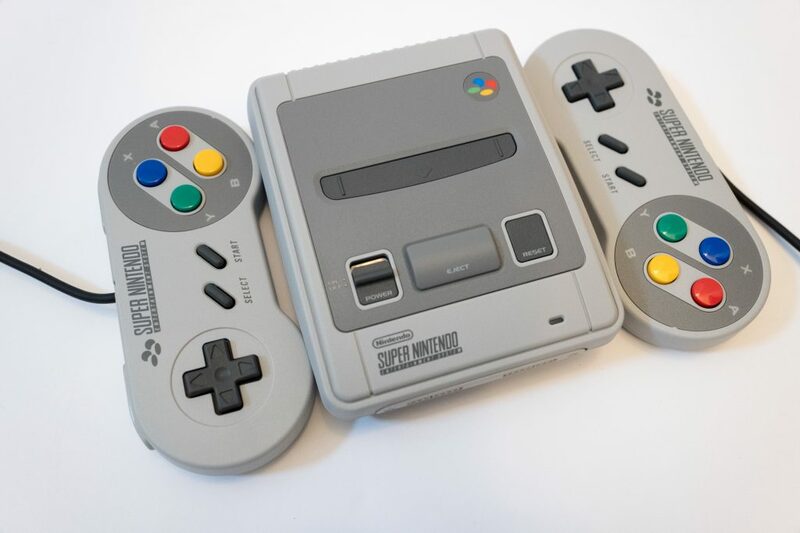 Nintendo have promised more supply of both consoles, lets hope more become available soon. The console itself is very easy to use, you turn it on select your game and its pixel perfect on your HD television, now I think for me its time for another round of F-Zero!